It shouldn’t be any surprise that the more you practice, the better you’ll get at guitar. One of the easiest ways you can make sure you practice more often is to set up a dedicated practice space where you can easily jump right in. As an example let’s say you keep your guitar locked in a hard case under your bed. It’s nice and safe there, but from a practicing point of view, it’s in the worst possible place. 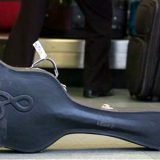 To practice, you need to take the case out from under your bed, open it, take the guitar out, collect any practice materials such as sheet music and take all of it to somewhere you can practice. Because it takes so much effort to get started, you’re less likely to practice when you’re not 100% motivated. If you had the choice between practicing or watching videos on YouTube, you’re probably going to go the easy option with YouTube rather than put the effort into getting your guitar and materials ready. While that’s an extreme example, it shows how easily we’re influenced by our practice space. A poorly set up practice space (or none at all) reduces how often you practice whether you realize it or not. When you have a good practice space set up, you’re likely to practice more often. This guide is about being smarter with practice rather than working harder. Note: skip ahead past the recommended equipment to see examples of practice spaces. Practicing in a distraction-free environment is crucial to getting the most out of your practice sessions. If you’re distracted by other people in your home or a loud TV, you’re going to have a hard time focusing on your practice (even if you use headphones). 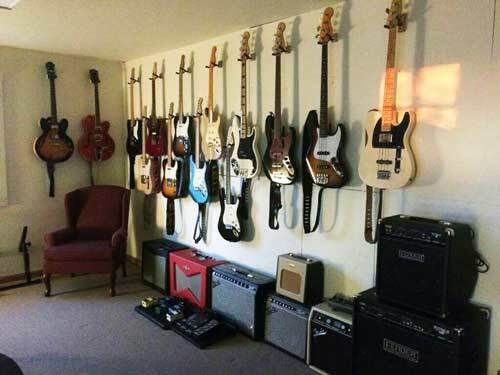 For this reason, it’s a good idea to set up your practice space in a separate room that will be private and quiet. For some people, this will be your bedroom while other people may have the luxury of a dedicated music room or study. There are times when it makes sense to set up your practice space in a common living area like a lounge room. While you might not have as much privacy as a dedicated practice room, there’s a different reason why it can be effective. 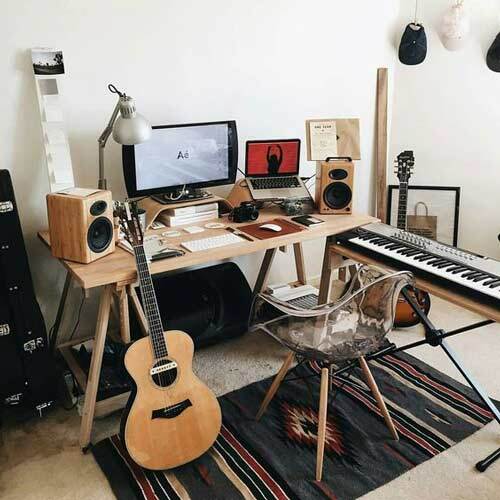 If you spend most of your time at home in a common living area, then having your practice space in that same area means you’re far more likely to pick up a guitar and practice. Instead of reminding yourself to go to a different room and practice, if you can simply reach over and pick up your guitar, you’re going to get more practice time in. It might not be as good as a dedicated practice room, but if it means you pick up your guitar more often, it’s effective. Have a think about how often you practice now and whether having your practice space in a dedicated room or a common living area (or both if you can) would result in more practice. If one doesn’t work for you, try the other. 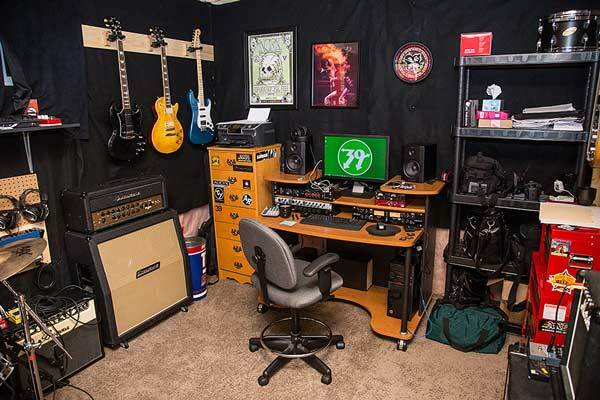 The best guitar practice spaces have all the essential tools, gear, and materials all ready to go within reach. If you need to search around to find a tuner or dig around a pile of cables to set up your rig every time you need to practice, you’re not going to get much practice done. 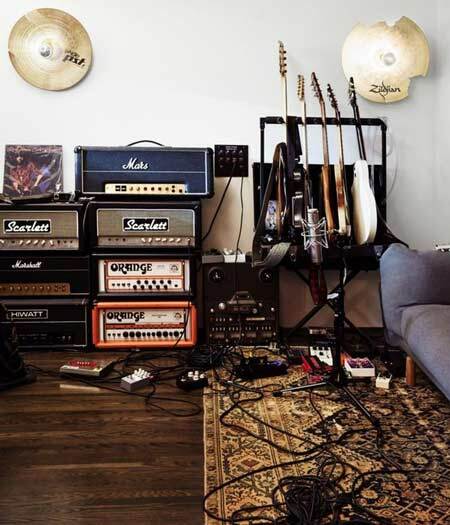 Make sure your practice space has everything you need all ready to go so when you want to practice you can simply sit down, pick up your guitar, flick a switch if you play electric guitar and you’re good to go. Alternatively, you can use a smartphone or tablet and get a metronome app – just make sure you read the warning about using a smartphone below. Practicing an in-tune guitar is important as it affects your ear skills. 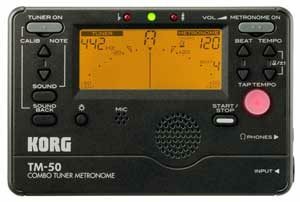 You want to train your ears to hear an in-tune guitar rather than get used to an out-of-tune guitar. If you’re a beginner it might not seem that important if the guitar is slightly out-of-tune, but advanced guitarists know how important it is to practice on a properly tuned guitar. 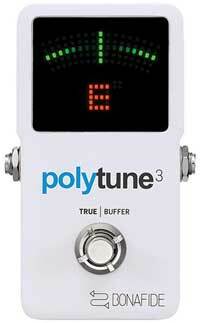 If you’re after other suggestions, check out my guide on guitar tuners here. While you can use a desk or table to sit any sheet music or learning materials, do yourself a favor and get a music stand. You have better posture when playing which prevents strains or bad habits and it just makes everything easier. 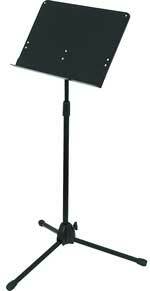 I highly recommend a solid music stand like this one as shown below instead of a flimsy wireframe style stand. You can’t rest a smartphone or small items on those wireframe stands. A smartphone or tablet can be a fantastic tool to have in your practice space or it can be a horrible distraction. It depends on how you use it. If you can resist the urge to check social media, you’re not going to get any messages or calls or any other notifications while you practice, then having your smartphone with you is a handy way to access useful apps that enhance your practice session. 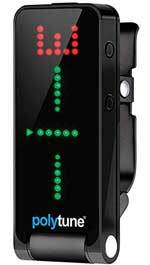 Put it on airplane mode and only use apps that will be useful to your practice. But even one notification sound can be enough to throw your focus off and ruin a practice session. If your phone is going to be a distraction from your practice, put it on silent and keep it in a completely different room while you’re practicing. Just like people at the gym spending half their time taking selfies, if you spend time on your phone – you’re not practicing. If you play acoustic guitar all you need is your guitar on a stand and you’re good to go. 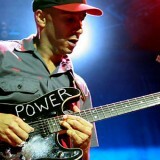 If you play electric, it’s a bit more complicated. 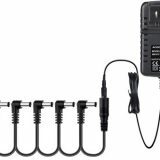 Your rig needs to be set up and so easy to get started that all you need to do is flick a switch and pick up your guitar. My old practice space wasn’t in an ideal situation which meant any time I wanted to practice I had to reach behind a cabinet to flick the power switch to my pedalboard, turn on my amp, go and pick up my guitar from the other side of the room and plug it in. Bad. My new practice space all I need to do is flick a little switch on the wall next to my amp (arm’s reach from my chair) and pick up my guitar. Everything is already plugged in and ready to go. Much better. Comfort is important if you’re going to be spending a lot of time practicing. Make sure you have a suitable chair that you’re happy to sit in while practicing. 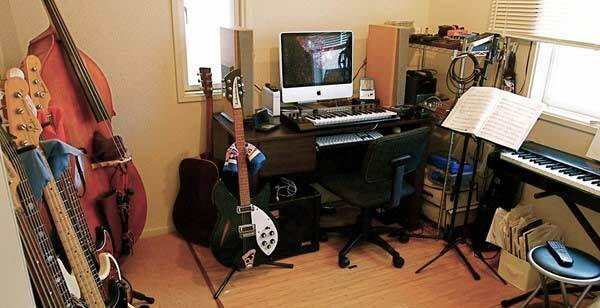 For example, my old desk chair had arms – not ideal for playing guitar. At the other extreme, a couch would be comfy, but probably not a good idea for practicing in. You’re going to end up with bad posture which can cause problems over time. Being able to easily record yourself at any point in your practice session is such a valuable way to capture new ideas or record your progress. 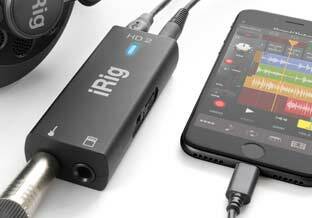 You could use a smartphone app, a PC/Mac with a microphone or audio interface or even a looper pedal. 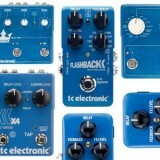 I use a WireTap by TC Electronic (link to my full review) which is already connected to my rig so all I need to do is tap the footswitch and I’m instantly recording. Highly recommended for all guitarists. Let’s have a look at some examples of different guitar practice spaces. You might get some ideas you can take away and use in your practice space so read through my thoughts on each one. Note: most of these probably weren’t set up as dedicated practice spaces, but let’s look at whether they’re suitable or not. Where’s the amp to practice the electric guitar? For regular practice tips and ideas, subscribe for email updates. 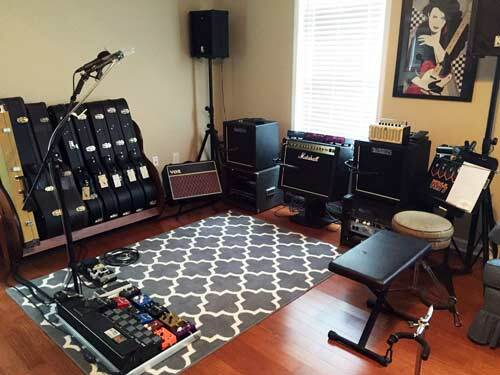 Setting up a suitable practice space is important for your development as a guitarist. 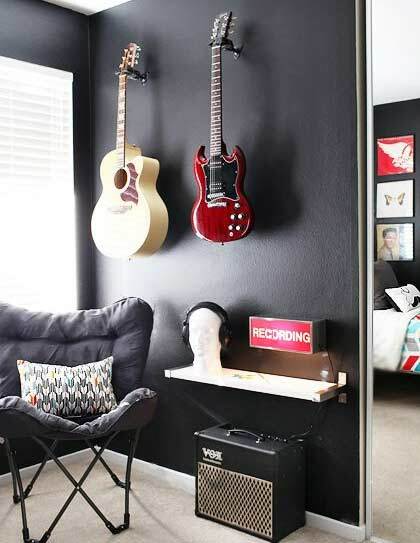 Check out this guide along with examples of guitar practice spaces.